Wait – Muscles are Organs? If you stopped a random person on the street and asked them to list off all the organs in the body, you’d expect to hear: stomach, heart, brain, liver, et cetera. Maybe a few who payed attention in Biology class might list the pancreas, gall bladder, or spleen. And they’d be right, of course: these are all internal organs of the body, also known as the viscera. What many people don’t realize, though, is that the skin, bones, and even your muscles are also on that list. An organ is simply a collection of tissues that work together to perform bodily functions. Skeletal muscles (the ones you have worked on during a massage) are organs that consist of muscle tissue, blood vessels, lymphatics, tendons, nerves, and the fascia that wraps around and within the organ. All these elements work together to ensure that the muscles can contract and relax on command so that our bodies can move—not bad for an organ that often gets left off the list! In order to do this work for us, each muscle requires a constant inpouring of nutrients from the blood and outpouring of waste products into the lymphatic system. If this flow in and out of the muscle is impacted in any way, it will develop dysfunction just like any other organ would. The primary way that the body maintains this flow in and out is through movement. Take, for example, feeling like your leg’s “fallen asleep” if you sit at your desk for hours without moving. What’s happening there? Well, your nerves, just like your muscles, need a constant flow of blood and lymph in order to function. If this gets lowered due to a postural stress (like sitting uncomfortably), then a tingling sensation—paresthesia—occurs. This tingling is the body’s way of letting us know that a nerve is not getting the nourishment it needs. The same can be said for a feeling of stiffness or achiness in the muscles. If you keep a muscle tightened up or stretched out for a long period of time, the blood and lymphatic vessels leading to and from the muscle will be impeded. What is the universal solution to a leg that’s fallen asleep? Start moving! While it’s an uncomfortable sensation at first, after a few minutes of movement the circulation is restored and the tingling is gone. The same can be said for tired and achy muscles resulting from postural stress. 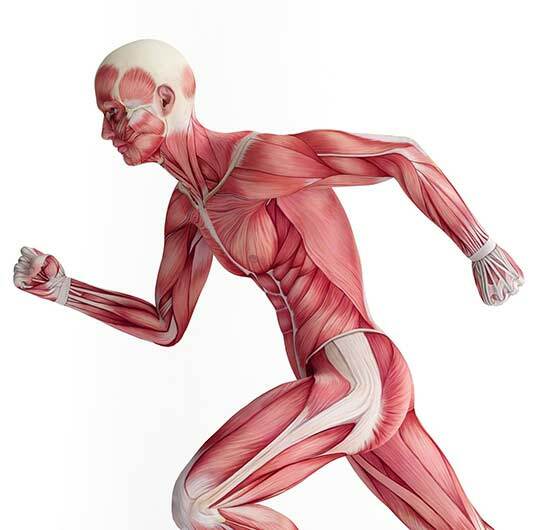 Afterall, muscles are movement organs and they require movement to stay healthy. It can be scary to have a muscle, or group of muscles, suddenly start hurting. Muscle pain can be extremely debilitating and, if a resolution is not found, can reoccur chronically for years. Remembering that muscles are simply our movement organs can help to allay some of the fear that comes from muscle pain. After all, its only natural that a muscle held in the same position for most of the day would need to be exercised regularly to maintain healthy circulation and function. If this need goes unmet for long periods of time, it follows that dysfunction would occur. Finding the time, space, and energy to move our bodies can be difficult in our society, particularly during busy times of the year. Massage Therapy and other health modalities are a useful supplement to regular exercise and can help get you back on track when your body has not had the chance to move as much as it needs. At the end of the day, though, the most important thing is to eke out some time on a regular basis for enjoyable movement.